Former Governor, Ben Cayetano, has made up his mind on whether he'll run for City's top job as Mayor. We'll have Ben's decision tonight at 5. Can you swing a hammer, use a saw, or wield a paint brush? We'll tell you how can help the state make a few run-down affordable housing units -- liveable again. Rescue operations continue in Italy following the sinking of a Italian cruise ship. We'll have the very latest on those still missing, which include two Americans from Minnesota. 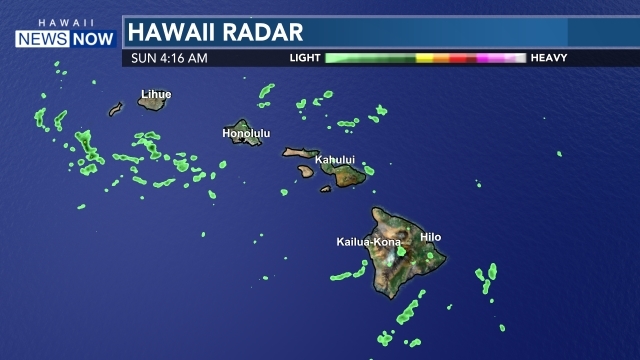 Guy Hagi is back and he'll more on how long the windy, but humid conditions will be around. Check out our Interactive Radar for the latest forecast. Check out our Facebook question of the day. Which potential Super Bowl matchup do you want to see most? Who will win it all? Head to the Hawaii News Now Facebook Page to sound off! We'll have these stories and more when you join me for Hawaii News Now at 5 and 5:30.